The Asif Jah dynasty ruled over Central Deccan for over two centuries from 1724 to 1948 with their headquarters at Hyderabad. The Hyderabad State was carved out of Mughal Empire which disintegrated after the death of Aurangzeb in 1707. Taking advantage of the weak Centre, the Nizam-ul-Mulk Asif Jah I founded the Hyderabad State. Though he showed nominal allegiance to the Mughal Emperor being content with the title, Nizam, he enjoyed independent authority over a vast territory from Bijapur in the West to the Bay of Bengal in the East and Aurangabad in the North to Arcot in the South. He put down his adversaries with an iron hand and kept the foreign East India companies, both the English and the French, at a distance. But after his death in 1748, the Hyderabad and the Carnatic offered a very convenient and alluring ground for the ambitious foreign Companies who by now were convinced that they should be able to exercise political influence over the local rulers for their commercial advantages. The English and the French competed with each other taking up the cause of one or the other contenders to the positions of the Nawab of Carnatic and the Nizam of Hyderabad which fell vacant almost at the same time. Though the French had some significant initial successes in Carnatic and Hyderabad, they lost ground to the English by the 1768 when Nizam Ali Khan, who finally emerged victorious in the war of succession, handed over Coastal Andhra though for a temporary lease to start with but later was regularized as permanent accession to the British India by 1823. Nizam Ali Khan also ceded the Rayalsima region to the English to pay off his dues to the English Company under the Subsidiary Alliance. Thus Hyderabad State, in a span of one hundred years, was reduced to a mere land locked country covering a few Sarkars stretched over present Telingana, north-east Karnataka and south-west Maharashtra. The second half of 19th century, the dozing feudal State received destabilizing tremors in the form of Modernization. And the 20th century heralded a new era of conflict, both internal and external, leading to the extinction of the State which was all through enjoying a prestigious status and position among the Princely States under the British hegemony. Thus the second half of the dynastic rule of the Nizams rose new hopes but finally resulted in total disillusionment. The present paper attempts to assess the political history of the Hyderabad State under the Nizams. The paper dwells on the subject in two parts covering the two important historical phases of the dynastic rule of the Asif Jahis. The first part covers the first half and the second part the latter half of their rule. Mir Qamruddin Chin Qilij Khan, Fateh Jung, Nizam-ul-Mulk, who was the Mughal Viceroy of Deccan was in fact interested to go back to Delhi to fish in the troubled waters after the death of Aurangzeb in 1707. He also rose to a very high position but he found that his position was unstable since the intrigues and treacheries were the order of the day. Getting disgusted with the happenings in the Court under weak and pleasure-seeking successors to the Mughal Throne he had to compromise with the Deccan Viceroyalty leaving all hopes, once and for ever, for a good position at the Mughal Court. He almost fled from Delhi for his safety to Deccan under the threat of Sayyid brothers. But, he was shocked to find his own Deputy, Mubariz Khan declaring himself the Subedar of Deccan. However, Chin Qilij Khan defeated the rebel taking help from Peshwa Baji Rao I in the battle of Shakar Kheda in 1724. He was known for his cruelty. Perhaps,he might have inherited this genetic streak from his father, Ghaziuddin Feroz Jung who led the siege of Golkonda and caused ghastly daylight murders of civilians including the Prime Minister and other chief officials in 1687 and devastated the capital city of Golkonda. The city could never be the same after this siege. The Nizam I sent the severed head of his rebel Deputy to the Mughal Court to prove his own valour and strength as a caution to his adversaries in the Court and also to send a message to the Mughal Emperor that he is prepared to accept only nominal Mughal suzerainty. The Emperor, of course, had no choice. After the Nadir Shah’s invasions, authority of the Mughal Empire was restricted to their capital city, Delhi. He also dealt with the chaos in Carnatic where even a small Qiledar proclaimed himself Nawab of Carnatic. It is said that the Nizam summoned all of them to his Court and ordered his guards to whip every one till he “would … call himself a nawab’. He appointed Foujdars in the Sarkars under his direct rule. He brought all the Zamindars, Jagirdars and local chiefs under the control of these Foujdars assisted by their deputies who were ruthless in their administration of the Sarkars became notorious in many ways through their brutal and inhuman activities. Most of the Zamindars were Hindus who enjoyed the titles of Rajas under the Qutb Shahi rule. The new administration was very harsh to them and coerced them to yield more revenue and meet the demands of the Nizam’s deputies. They interfered in the internal administration of the Zamindary and suppressed any protest with an iron hand. The Nizam was suspicious about the Zamindars that they had sympathies for the Qutb Shahis who created these Zamindaries. So, he appointed his own confidents as Foujdars who enjoyed the title of Nawab to supervise and check the Zamindars. Generally these Nawabs always preferred to stay at capital to guard their positions and to seek more benefits pleasing the Nizam. They left the administration to their deputies in the Sarkars who held unbridled sway over the Zamindars and peoples. One such deputy named Rustum Khan was in-charge of Chicacole (Srikakulam) and Rajahmundry Sarkars from 1732 to 1739. He felt that it was his foremost duty to punish any protest from the Zamindars by their total extirpation. Those who escaped death were proclaimed traitors and rewards were announced for their heads. He constructed kulla-minars (pyramidal structures) with the heads of all adherents of the rebelling Zamindars on the lines of Nadir Shah which was hitherto not known in Deccan. This is only a specimen to illustrate the character of the First Nizam’s administration. We come across several heinous and treacherous acts committed by the Nizam’s officials against the local chiefs and others who mattered in public affairs. They were also harassing the local gentry for costly gifts and bribes to allow them to live in peace. Even the European trading companies were afraid of approaching him for any trade concessions. They had to bribe the Court officials even to get a brief audience of the Nizam. Thus the Nizam terrorized both internal and external forces and established himself firmly in the saddle. It was a ‘reign of terror’. However, with the death of the Nizam I in 1748 at a ripe age of 91, Hyderabad throne became a bone of contention among his seven children and his favorite grandson, Muzaffar Jung. The foreign companies were eagerly waiting for such an opportunity to interfere in the succession issue on the side of one or the other contender. But, in fact, the English and the French companies were turned out to be the main contenders. The Hyderabad and the Carnatic served as open arenas to test their respective strengths. Gradually, they rose in their status from ‘auxiliaries’ to ‘principals’. Salabat Jung who had a short stint as a ruler had even given away the northern sarkars, now known as northern coastal Andhra, to the French. This was the first ever instance in India that a foreign trading company could get a territorial possession, though short-lived. And a purely commercial establishment transformed itself into a ruling agency of its native Government. During the French occupation, the region had witnessed untold miseries due to wars among the local chiefs propelled by the French. Heavy demands were made in respect of revenue collections and the burden, in turn, fell on the people. According to the English sources, “For seven years (of French rule under the sanad of Salabat Jung) the completest anarchy ever recorded in the history of Hindoostan prevailed over all the five Sarkars. The forms, nay, even the remembrances of civil Government seemed to be wholly lost.” The rest of the State was no better if not worse. Meanwhile, Nizam Ali, brother of Salabat Jung, was approaching Clive at Madras to assist him to “subvert the latter’s Government in his favour.” In return he promised to the English that he would transfer all the French possessions to the English company. Salabat Jung was under the French protection. So the English sent forces to expel the French from the northern Sarkars under Col Forde to assist Raja Ananda Razu of Vizianagaram with whom they signed an agreement to make a collective effort to expel the French. Nizam ali Khan took the reins of the Government from his brother, Salabat Jung, as his Dewan and de facto ruler in 1759 and assumed the title Nizam-ul-Mulk Asif Jah II in 1762 after throwing his brother into prison and got him murdered. Pursuing the family trait of treachery, he disowned Raja Ananda Razu who was instrumental in defeating the French and turning the English tide in his favour. As against the earlier understanding of granting the French possessions to the Raja, Nizam Ali Khan appointed one Ibrahim Khan to the management of sarkars. But the English were pressurizing him to grant this region to the English Company. Nizam Ali sought help of the English in getting back Bidar and Berar from the Marathas. Nizam Ali’s long rule from 1759 to 1803 witnessed the rise of the English from a mere trading group to a mighty ruling power with their decisive successes in the Battle of Buxar (1764) and the Mysore wars. Later, the rest of the major native powers were subdued with a diplomatic move known as Subsidiary Alliance. Nizam Ali was the first native power to sign the treaty fondly hoping for the support of the English for his designs against the Marathas which was never fulfilled. But the Alliance resulted in total subjugation of the native powers without shedding a drop of blood. The English army entered the native capitals and they were maintained by the native rulers for their ‘protection’. But Asif Jah III had to give away permanently the regions assigned to the English for the payment of dues on account of the maintenance of English troops. The English also diplomatically convinced him to disband his own army because there would not be any need for it because they were under the protective umbrella of the ‘mighty’ English forces. The Nizam fell a prey to the bait that they could save expenditure on account of the native troops. He disbanded the combatant forces and kept only a small contingent of Palace Guards. Thus a mighty native ruler was reduced to a prisoner in his Palace and the English Resident enjoyed all the power and prestige. Thus the reigns of Asif Jahs III & IV, Hyderabad State lost the luster and the ruling elite were engaged in leisure sport neglecting the land and the people. Utter poverty, sheer ignorance, absolute slavery were the forte of their subjects. Between the peoples of Hyderabad and other parts of india, wide gaps were developed in the life-styles and living standards. The progress of Hyderabad was stalled for over three generations of the dynasty, while significant developments – social, political, economic, educational, religious and cultural-- were taking place in other parts of the Country with amazingly faster pace. Those who could not keep pace with these developments were to remain backward for ever. While the Nizams were becoming puppets in the hands of their English Masters, a parallel line of authority enjoying considerable influence in the English circles and commanding respect from the political elite in the State was developing in the office of Prime Minister. Mir Turab Ali Khan, Nawab Salar Jung I succeeded his uncle, Siraj-ul-Mulk as the Prime Minister in 1853 during the reign of Asif Jah IV. He served three Nizams while his tenure during Asif Jah V was more significant. He revamped the administrative system, judicial system etc on the lines of the British India. Among his numerous attempts to modernize the State, two measures need our special attention having impact on the present scenario. The new administrative set up required the English educated personnel to man the new administrative system. Of course, the English educated Muslims were appointed to higher positions and the traditional local Muslims who could transact administrative business in Persian became obsolete. They developed a grudge against the new administrative class. Their resentment took the shape of an agitation against appointments of Non-Mulkis to Government jobs. Resident Richard Meade was instigating the nobles, “Do you want to make Salar Jung the Nizam? What has he done? He has only brought ruin to the State! He has imported the Madarasis, Parsis and Musalmans from the north.”The second measure was to revamp the revenue policy and increase Excise income by auctioning areas where toddy was collected. Due to the neglect of agriculture for over a century by now, the landlords found the agriculture less attractive and soon transformed themselves as Excise Contractors employing rude elements to assist them in collection and distribution of liquor and toddy. The already impoverished subjects were further sunk in the State-managed drinking bouts. This had gradually become a characteristic feature of the people of the Nizam’s State. The British Government also felt the need to change the mind-set of the Indian Princes by giving them western education and train them in the manners of the West on a civilizing mission. English tutors were appointed to “improving the training and mental equipment and education” of the princes, prince-lings and heirs-apparent. The attempts of modernization of Hyderabad were far from being rational or secular. The western education including technical and professional courses was introduced through Urdu medium. The new judicial system also adopted Urdu. Urdu was the mother tongue of a minority population. If the others wanted to take the advantage of the modern education, they should invariably be taught in Urdu. Mohammed Murtuza who was educated in Hyderabad and was employed in Government service came out with his stirring pamphlet Rooh-e-Taraqi (the Soul of Progress) in the year 1904 emphasizing that education could be useful when it was imparted not through English, but through Urdu. He further advocated that a separate University should be established for Hyderabad known as the Nizam University in which English was not to be the medium of instruction and that Urdu should be the medium of instruction. The Hindus though constituted a majority had no facilities to get the benefits of modern education. The Hindu students who were studying in their mother tongue were deprived of any government scholarships. The modern education in Hyderabad was thus wrought with the reactionary and fundamentalist ideas. Under these circumstances, the Hindus had no alternative to Urdu which was the official language, the language of the ruler. The Hindu elite adopted Urdu for general conversation even among themselves and took pride in their proficiency of Urdu and Persian which was a purely a foreign tongue. Telugu was spoken by the lower strata of the society with a combination of Urdu words. The Urdu-Telugu mix became the language of the region. Telugu lost its pristine glory of the pre-Asif Jahi period which was waiting for a revival through a concerted effort of the Telugu speaking people reinforced by the emerging national consciousness. Nationalism in other parts of India used the language of the land as means for its spread among the people of the region, but the case was different in Hyderabad where the language had to gain currency through the means of Nationalism. The establishment of libraries and reading rooms, publication of booklets in Telugu, collection of inscriptions in the region, newspapers, magazines and journals, arts, cultural activities, folk performances etc were employed to spread Telugu among the people. Speaking in Telugu even in private was being heckled even by the Hindus whose mother tongue was different. This had led to the founding of Andhra Jana Sangh in 1921 with Tekmal Ranga Rao as its Secretary. But the exposure to the modern education, life-style, political ideas could not transform the Muslim elite to think beyond their religious beliefs to treat the other compatriots on equal footing with them. Even, the last Nizam, Mir Osman Ali Khan, who had received the western education and was also exposed to the modern political happenings around, could not come out of the iron curtain allowed himself to be a puppet in the hands of Communalists. Once it was certain that the withdrawal of the English was imminent , he still dreamt of an independent Islamic State of Hyderabad with the help of a few Islamic communalists, Razakars who created a ‘reign of terror’ in the State. Thus, the Asif Jahi rule began and ended with barbaric spells of violence unleashed on the innocent masses of other communities in the State. 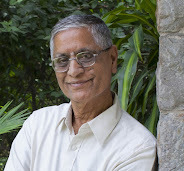 Prof of History (Rtd), Kakatiya University, Warangal. K V Bhupala Rao, The Illustrious Prime Minsiter Madanna, Hyderabad, (1981 ? ), pp 245-248. Philip Woodruff, The Men Who Ruled India cited in Rajendra Prasad, The Asif Jahs of Hyderabad, New Delhi, 1984, p 42. Meckenzie’s Kaifiyats : Mogaliturru, Nuzividu & Peddapuram. Sarojini Regani, Nizam British Relations, Hyderabad, 1962 pp 120, 124. Rajendra Prasad, op.cit. p 102. D R Mankekar, Accession to Extinction, New Delhi, Vikas, 1978 cited in Rajendra Prasad, op.cit. p 97.